The New If You're Lucky Bras. 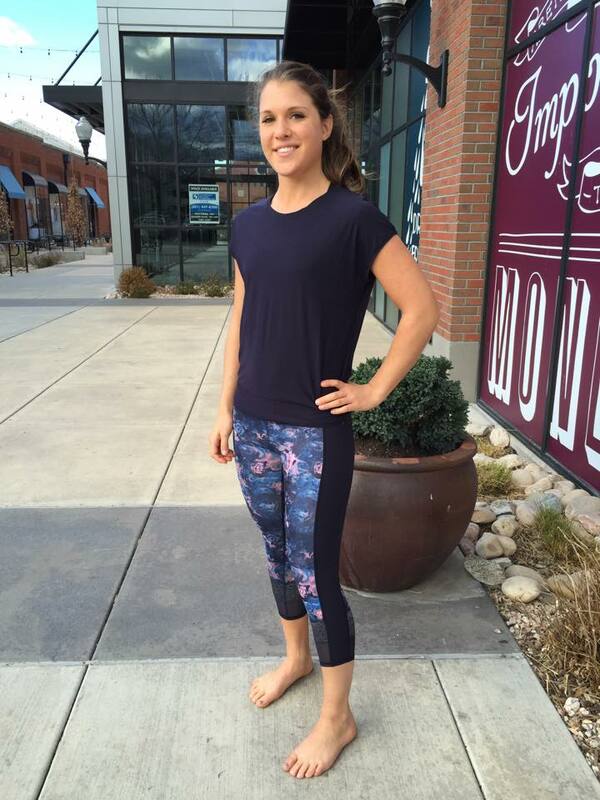 Shown with Moody Mirage Wunder Under Pant. New If You're Lucky SS, If You're Lucky Bra, and Moody Mirage Wunder Under Pants. 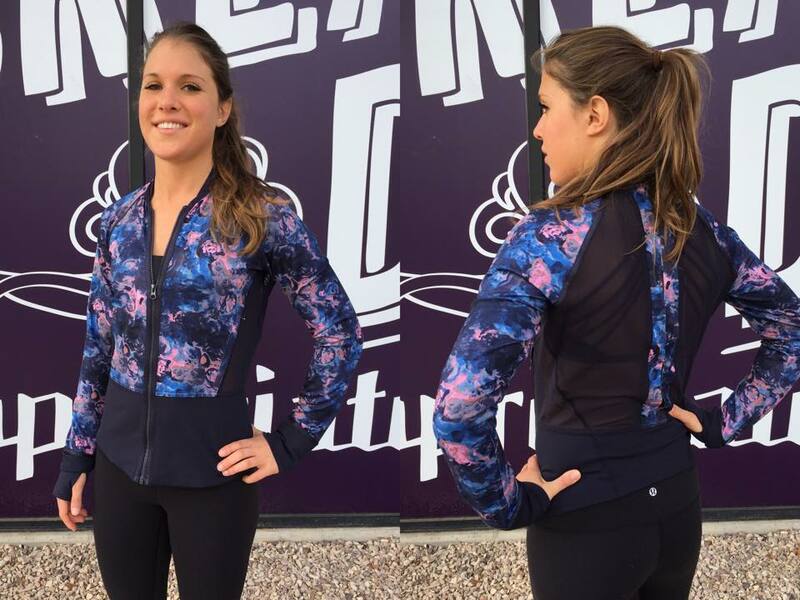 The If You're Lucky Jacket in Moody Mirage Bark Berry Deep Navy. Did anyone else think that the moody mirage crops run extremely small? I am normally a 6 and sized up to a 10 because the roll down waist was so tight and gave me an excessively large muffin top! Perhaps it's because the fabric is different? Everything about this makes me embarrassed to be a fan of the brand. Oof. My money is pretty safe! Might just get the What The Sport shorts in cyber stripe. Has anyone tried it on yet? Does the fabric feel textured and is it comfortable? It looks like the good lulu days are long gone. I'm tired of week and after week of fugly. sad day. I find the amount of cutouts and straps on a lot of the looks to be too much. Shirt with big opening, plus a racer back AND a multi strap bra all together? It looks complicated and silly. Is this the look that lulu is selling? Not for me. Give me simple clean lines and subtle details, not al this multi strap nonsense. I am really surprised at all this new stuff. That bra is just hideous and so is the tank. totally agree on all the comments. I am also curious to find out where the designers get these ideas from. I got my order from the last upload yesterday. Everything except Crossback tank. I ordered 2 pairs of Mesh With me crops, 1 in sea side silver fox and 1 in deep coal snake print, new cyber stripe inspires and Moody mirage WUP. I thought I should try this mesh thing to see if I like it. Well I didnt. I wonder if I'm in the minority , but that mesh really diggs into my skin. My normal size 4 didn't feel comfortable at all where the mesh was. I usually do a lot of squats & lunges when I train so that's a deal breaker for me, these will go back. Moody Mirage felt more cottony to me than regular Luon, I liked that, but I was hoping I'll like the print better when I see it and I didnt. They are going back too . I might keep the new Inspires, they felt nice, but not 100% sure yet. I would definitely buy them in seaside silver fox if lulu makes them in this print though. I can't think of anything that would be more uncomfortable than these tops. After I have worked out if my back catches a draft I ended up getting chilled. These tops look uncomfortable and ugly. Astute observation and question LLA. The model looks great in all the items and would look great in anything, but I am not interested in any of these clothes. They are pretty bad. Sad what the brand has become. How can they wonder why sales are down or not as robust in the past? For me for now it's a good thing. I'm moving so I have expenses to cover. I'm glad I don't want anything. @Lisa- my Moody Mirage WUC fit perfect. I normally wear a size 6 in WUC and that's what I ordered. I'm sure it was mislabeled. I could see maybe sizing up one size, but a size 10! Something is wrong with the ones you have. These prints look like the sad 80s couches everyone had and sent to the dump in the 90s! That bra looks all puckered - like a little girl trying to wear her mom's bra! I just don't understand who ok's these designs? Back to vintage LULU on ebay!! I think LLL is grasping at straws in the design department. How awful is this new line? The straps on the bra look like a mistake and are so weird...and the cut out in the chest....YUCK!!!! !